With views over the Zambezi National Park, this attractive lodge has an enviable location with a popular waterhole of its own. 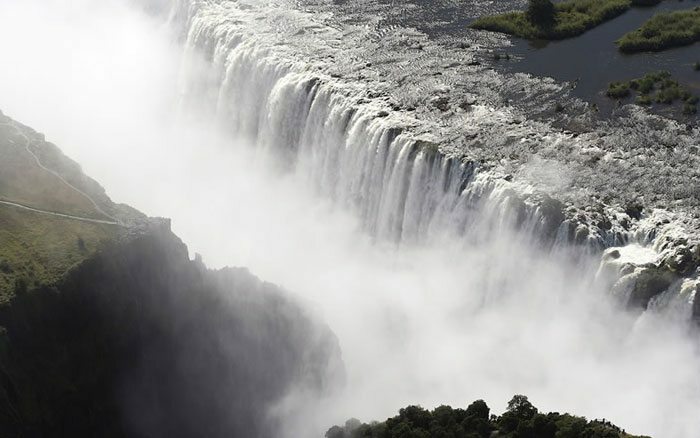 Built on a plateau, on the borders of the unfenced Zambezi National Park, the Victoria Falls Safari Lodge offers guests the opportunity to experience Zimbabwean hospitality in a tranquil bush setting, yet you are just 4km from the famous, thundering Victoria Falls. 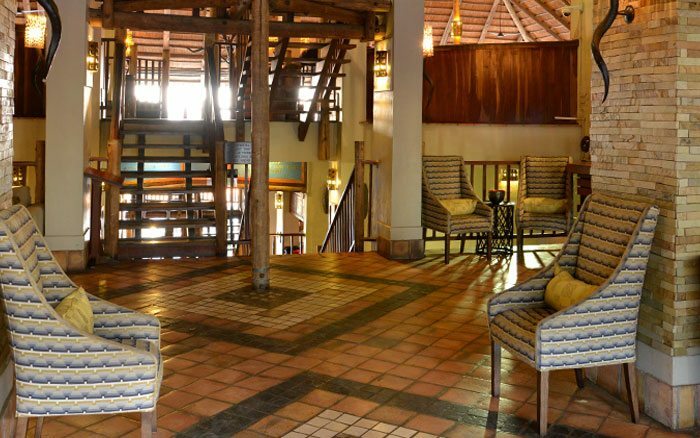 The lodge, which is constantly winning awards in the tourism sector, has 72 rooms decorated in soft earthy colours, with ethnic fabric touches. Each room has a private balcony overlooking the national park and many of them have views of the waterhole, a popular place with the local wildlife. The lodge has two of Zimbabwe’s iconic eateries. 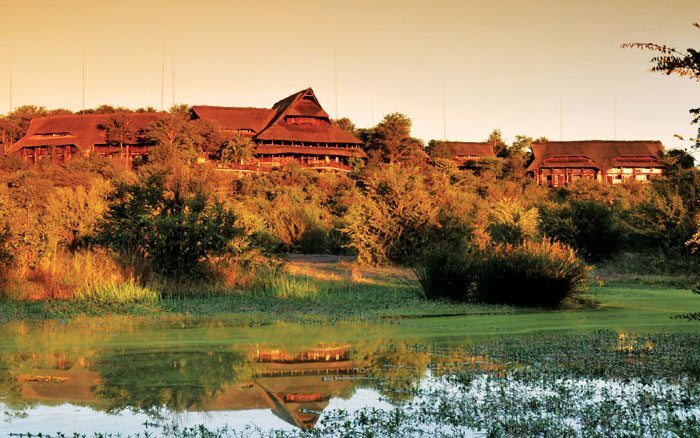 The Boma, which is an activity and experience all of its own – sample local food, scrumptious braai (bbq) and if you’re brave enough try a dried mopane wor, all accompanied by entertainment. 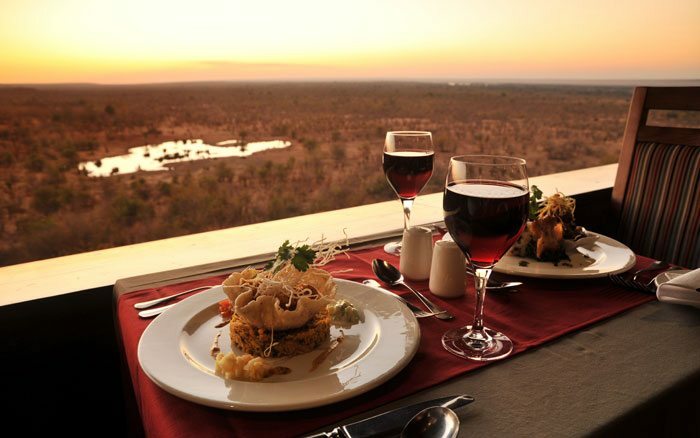 The MaKuwa-Kuwa restaurant serves a la carte meals from an award-winning menu with views overlooking the waterhole. There are two bars where you can enjoy a refreshing sun-downer, a swimming pool, library, internet café, curio shop and a TV lounge. 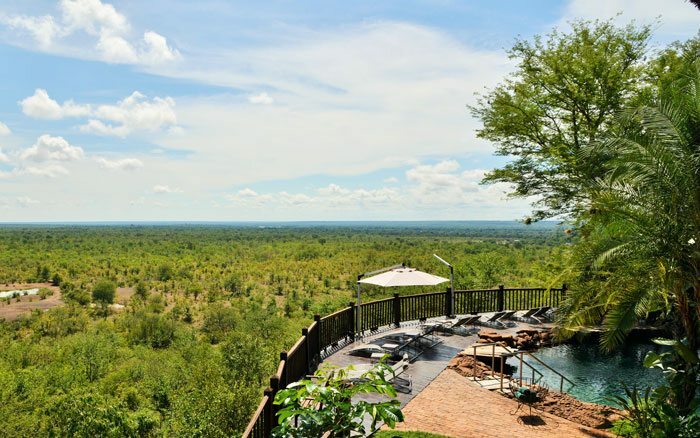 There are plenty of places to sit and relax and enjoy the surroundings when not on an activity, not least the viewing deck overlooking the waterhole. Children are welcome at Victoria Falls Safari Lodge and babysitting can be arranged if required. Newly renovated, tastefully decorated rooms provide comfortable accommodation. All rooms have private balconies overlooking national park. Standard Room: These rooms are spacious and elegantly furnished. 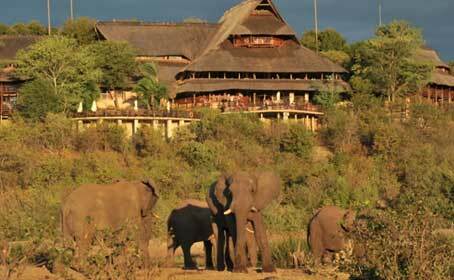 The private balconies offer fabulous sunset opportunities and excellent views of the Zambezi National Park. 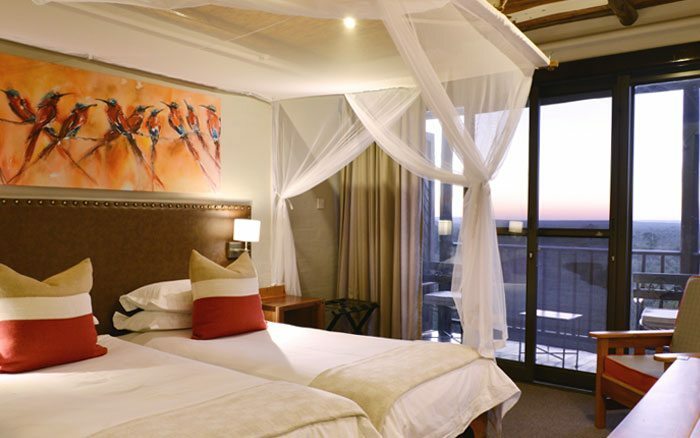 Deluxe Room: These rooms have all the same facilities and features of the standard rooms but they offer prime views of the waterhole in front of the lodge. Suite: For something a little more lavish there is a Suite. There is a cosy lounge with sliding doors out to a private balcony with breathtaking views. The staircase leads up to the bedroom and en-suite bathroom which has a separate luxurious shower and a bath. Deluxe Suite: The Deluxe Suite has the same layout as the Suite but has the added addition of a Jacuzzi.